Brown Kraft 330x50mm Postal Tube (Pack of 25) PT-050-15-0330 Pack of 1 Recycled postal tubes with plastic end cap for safe storage of posting of posters, plans or other large papers. Dimensions: 50 x 330mm. Brown Kraft 890x76mm Postal Tube (Pack of 12) PT-076-15-0890 Pack of 1 Brown kraft postal tubes with plastic end caps for safe storage and postage of posters, plans or other large papers. 76mm diameter x 890mm. Brown Kraft 1140x102mm Postal Tube (Pack of 12) PT-102-15-1140 Pack of 1 Brown kraft postal tubes with plastic end caps for safe storage and postage of posters, plans or other large papers. 102mm diameter x 1140mm. 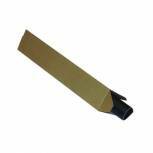 Brown Kraft 610x76mm Postal Tube (Pack of 12) PT-076-15-0610 Pack of 1 Brown kraft postal tubes with plastic end caps for safe storage and postage of posters, plans or other large papers. 76mm diameter x 610mm. Brown Kraft 450x50mm Postal Tube (Pack of 25) PT-050-15-0450 Pack of 1 Recycled postal tubes with plastic end cap for safe storage of posting of posters, plans or other large papers. Dimensions: 50 x 450mm. 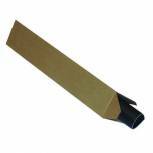 Brown Kraft 625x50mm Postal Tube (Pack of 25) PT-050-02-0625 Pack of 1 Recycled postal tubes with plastic end cap for safe storage of posting of posters, plans or other large papers. Dimensions: 50 x 625mm. 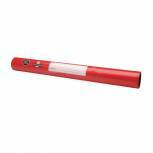 Brown Kraft 890x50mm Postal Tube (Pack of 25) PT-050-20-0890 Pack of 1 Recycled postal tubes with plastic end cap for safe storage of posting of posters, plans or other large papers. Dimensions: 50 x 890mm. Brown Kraft 760x76mm Postal Tube (Pack of 12) PT-076-15-0760 Pack of 1 Brown kraft postal tubes with plastic end caps for safe storage and postage of posters, plans or other large papers. 76mm diameter x 760mm. Brown Kraft 450x76mm Postal Tube (Pack of 12) PT-076-15-0450 Pack of 1 Brown kraft postal tubes with plastic end caps for safe storage and postage of posters, plans or other large papers. 75mm diameter x 450mm.